One of the best perks of having my blog is the opportunities it has provided me as a freelancer. 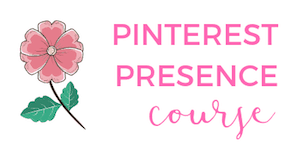 Aside from blogging, I've been able to turn my website into a launching pad for freelance work, specifically my Pinterest management business. By providing a Hire Me or Work With Me page, bloggers and businesses are able to see what services I have to offer. With my business, I tend to rely on word of mouth for the most part. Referrals are my favorite and I'm thankful my clients tell their friends. Fortunately, these potential clients have the ability to head over to my website, get a basic idea of my services offered and decide whether or not they want to reach out to me. Without my website, I'm not sure how else I would market my services. If you are a freelancer and still trying to weigh the pros and cons of creating a website for your business, this is where my friend Gina comes in. Gina Horkey is the creator behind the Horkey Handbook. 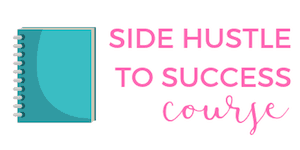 She has written two wildly popular courses, 30 Days or Less to Freelance Writing Success and 30 Days or Less to Virtual Assistant Success. Gina is an expert at helping freelancers not only get started with their business, but teaches them how to do it all in the course of a month! 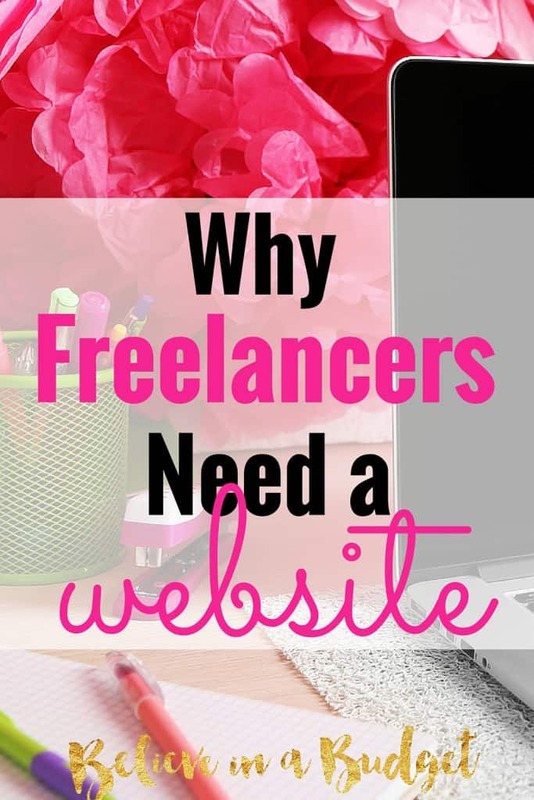 How important is a website for a freelance writer or VA? Let me preface this with saying, I think that you CAN succeed without a website as both a writer or a VA. But I do think that having one makes you look more professional and enables you to have greater opportunities long-term. A website is really our generation’s version of a business card IMO. If you didn’t want (or didn’t know how) to set one up, as a writer you could set up a free portfolio via Contently (here’s mine) or Pinterest (here’s mine). And as a VA, you could have a pdf version of your resume handy and use the hyperlink associated with it via Google docs or something. Do you think freelancers have to have a website to promote themselves? 12 Reasons that Starting a Blog is the Best Decision You’ll Make. This is post that my friend Ariel wrote that does a great job explaining why someone like yourself would want a website. 7 Days or Less to Branded Website Success. 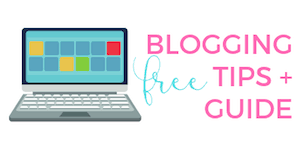 This is a free website tutorial that my WordPress guru friend, Daryn and I recently put together to help newbies navigate setting up their first WordPress website via a step-by-step guide. Does it need to be much more than a landing page? If you did go with a website, you could start with just a landing page. That after all is better than nothing. But again, ideally, you’d want to have a bit more than that on display. What are prospective clients looking for? I think that a prospective client is looking for a clean and minimalist site that showcases what you have to offer and houses proof (samples) that you can deliver on those services. Try to be as confident, clear and concise as possible in your copy. If/when clients ask for a proposal, what do you do? What elements do you include? I don’t typically do “formal proposals.” Most of the time I have some kind of in person, phone or email exchange with a prospect and then they ask my rates, I tell them and we decide to move forward or not. Restate the client’s problem. Why did they reach out to you in the first place? What’s their pain point? Restate how you can help with said problem. Their pain point is X, what do you offer that can take it away? I.e. they’re looking for more clients, maybe you can improve their current copy and help them to split test it to track conversion results. What is the scope of the work and for what rate? Here’s where you’ll want to list exactly what you will do for them in return for what fee. Define the timeline. When will you do the work, when will it be completed, when and how will they make themselves available to you for clarification questions/any deliverables on their end and when and how will they pay you? Don’t forget to remind clients of the value they will receive by hiring you. Is it more time, less stress, more leads? I hope this has been helpful as you consider your current web presence or what you’d like it to look like in the future. Don’t wait for everything to be “perfect” before you launch though – ship it with what you have and aim to make small improvements over time. If someone is thinking about starting a freelance career or is just getting started, do you have any tips or recommendations? Does your freelance business have a website? This is soooo helpful! I’ve always found my freelance jobs through third party sites and have yet to set up a Hire Me page on my blog…which is crazy!! I need to go and do this now. I’ve also thought about just a stand alone site that talks more about my work. Either way, I need to take this step 😉 Thanks for the inspiration!